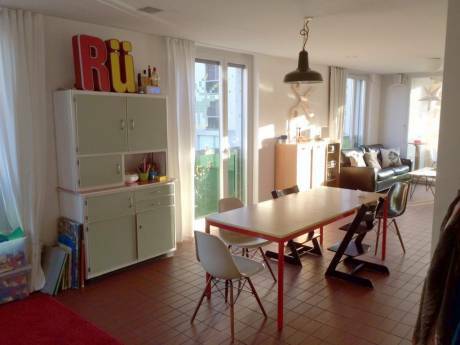 We offer a large and attractive apartment in a 100 year old building in the center of Zurich. We have three bedrooms, two with a double bed and one with 2 single beds. Downstairs there is a large living/dining room with open kitchen. We have direct access to a patio as well as the garden featuring a trampoline for children, a table-tennis and BBQ-equipment. We are Kathy and Harald, a married couple with three teenagers born between 1995 and 1999. We are both professionals (pediatrician and marketing manager) and enjoy travelling with the whole family to interesting places (as long as they still join us ;-). 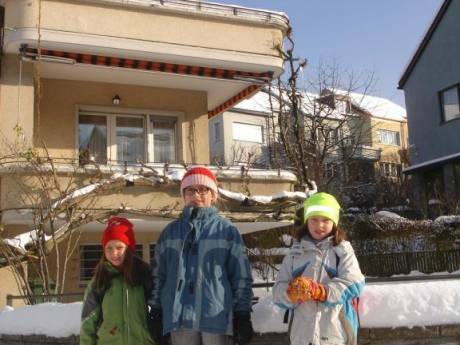 We are new to home exchange before but are keen to try what sounds a great way to see another country as a resident - and offer someone the opportunity to explore Zurich and Switzerland from a very nice and central place. 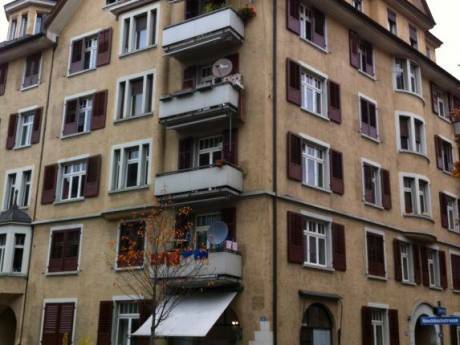 Situated in a quiet residential area of Zurich, the city center is in walking distance (10 minutes). Additionally, reliable and frequent public transport (bus, trams) is close by. So no car will be needed to explore Zurich. The neighborhood offers all amenities such as supermarkets, shops and restaurants, and ranks among the favorite areas to live in Zurich.